More than ever, shippers today are feeling the pressure from both customers and carriers. While we live in an age where same-day delivery and free shipping have become customer expectations, we also live in an age where dimensional weighting and quarterly accessorial increases have become a reality from the carrier. Although this may seem like a losing battle, there is hope. Relying on proactive rather than reactive analytics, and the ability to make specific actionable callouts from these data sets, will be key to navigating the ever-changing shipping landscape both now and in the future. Although very informative in their own right, retrospective analytics cannot undo the past. Realizing in January that 50,000 one-pound packages were all dimensionally billed as though they were 15 pound packages during peak season cannot get you your money back. But imagine if you had the ability to catch such errors in real-time! Enter proactive analytics. Proactive analytics focus on data in as close to real-time as possible, allowing shippers to catch problems before they can cause serious damage to their bottom line. The good news is if you have access to paid invoice data from either a third-party audit and pay company or an internal source, you likely have the ability to run proactive analytics as well. The key is knowing how to use this data most effectively so as not to miss avoidable problems or raise unnecessary red flags. Below are my four keys to effectively using real-time data and realizing the benefits of proactive analytics. We have all run retrospective reports based on paid invoice data. It is typically as simple as determining your date range and diving in. However, proactive analytics are trickier. When dealing with real-time data you will often find yourself working with incomplete data sets. The reality is that most carriers do not invoice as soon as a package has shipped. Therefore, when evaluating a recent time period, you must consider the fact that not all shipments from that week have been invoiced and adjust accordingly. When running real-time analytics, always use INVOICE DATE as your date criteria. Consider this: If you run data today for shipments that shipped last week, chances are not all packages have been invoiced yet. Therefore, if you run a report for this same time period next week, your data set will have changed (gotten bigger) as the carrier invoices more packages. You are chasing a moving target. However, if you ran a report today for any shipments invoiced last week, this report will contain the same data today as it will next week. The best proactive analytics come from carriers with consistent billing cycles. The good news is that many carriers, including most of the large parcel carriers, adhere to this type of billing. Consistent billing cycles ensure that you are comparing similar datasets week over week. If a carrier bills on a constant schedule each week, you are able to compare datasets week over week that contain the same account numbers, shipment mix, ship date to invoice date delay, etc. Although the ship dates in your dataset will not be consistent week over week (this is ok), you will still be comparing the same account numbers looking for week-over-week trends. If you get an invoice for your DC Outbound account number this week which contains roughly a week’s worth of shipments, you will receive an invoice for this same account next week with roughly a week’s worth of shipments. Although not perfect, this will allow you to uncover troubling trends week over week, month over month. As previously discussed, proactive analytics involves using partial and oftentimes fluid datasets. Therefore, using the correct metrics is crucial. Since you will be running your analytics based on invoice date, the data contained during each time period is based on what the carrier invoiced, not necessarily what you shipped. Therefore, stay away from “Total” metrics. These metrics would include Total Spend, Total Number of Shipments, Total Accessorial Cost, Total Weight, etc. Comparing the total spend invoiced last week versus the week before will not show you anything reliable as these totals reflect only what the carrier got billed during that week, not your actual business activities during that week. Just like the old saying, you need to make sure you’re comparing “apples to apples.” Tried-and-true KPIs like cost per shipment and cost per pound are useful starting places, but the real insights can be gained from percent metrics. Metrics like these show the relationship between two datasets that are similar but not exact. This will allow you to identify cost-driving trends without throwing up unnecessary red flags. Sure, the carrier may have invoiced a large dollar amount of residential fees last week, but maybe the percentage of your total spend that these represent is identical to the period before. Trends in your data are caused by two main factors: Changes to your shipping behavior and changes to the carrier’s billing standards. Each change you see in your data has a reason behind it. High level metrics such as spend, cost per pound and cost per package are excellent indicators. In fact, changes in these types of metrics are what you should expect to find when running proactive analytics. However, don’t stop there. If I came to you and said, “cost per package is increasing week over week,” what would you change about your shipping habits? Who knows? It’s not specific enough. Data is like an onion, you need to peel back the layers. Cost per package is rising. Great. Now, let’s peel back the layers of the onion and see what within your network changed. Maybe accessorial charges as a percentage of total spend increased. Great. Peel back even more. Maybe you notice a large increase in address correction charges week over week, and all of these can be attributed to a large customer who recently moved to a new location and your manifesting system has yet to be updated. Now that is an actionable callout! 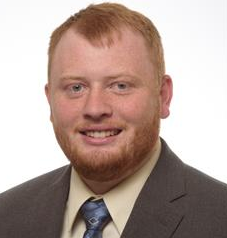 Quinn Nelson is a Sr. Account Analyst with enVista Transportation Solutions. In four years at enVista, Quinn has worked directly with clients to enable their success and achieve transportation goals through data analysis and solutions focused reporting. He graduated from Ball State University with a degree in Logistics and Supply Chain Management.